Many countries around the world have a holiday to celebrate achievements of workers, and New Zealand is now exception. Its Labour Day has its origin in the trade union movement, specifically eight-hour working day movement. The latter arose in the Wellington colony in 1840. Carpenter Samuel Duncan Parnell agreed to work no more than eight hours a day and encouraged other workers to follow his example. In October 1840, he held a worker's meeting where a resolution was passed supporting Parnell's idea. In 1890, the fiftieth anniversary of the meeting was commemorated with a parade. So annual celebrations of the event began. In 1900, Labour Day was first celebrated as a public holiday. However, each province chose its own date to observe it. 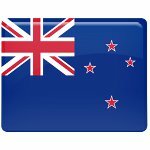 Since 1910, the holiday has been celebrated on the fourth Monday in October throughout New Zealand. On this day, government offices, educational institutions and many businesses are closed. As Labour Day falls on Monday, many people enjoy the long weekend. Typical celebrations include street parades, picnics, and other events. Sometimes, protest marches in support of workers' rights are also held.